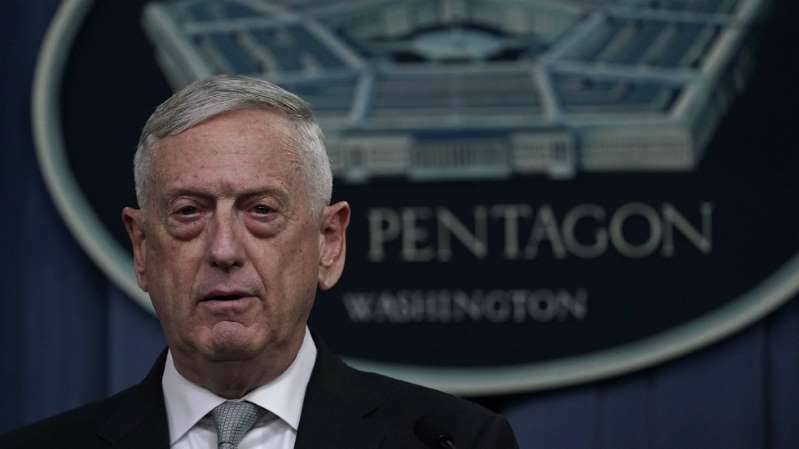 "When the Americans put their nation's credibility on the line, privatizing it is probably not a wise idea," Mattis told reporters at the Pentagon. The former head of U.S. Central Command did not mention by name Erik Prince, the Blackwater founder who in recent weeks has shopped a plan to replace most U.S. troops in Afghanistan with private contractors. Mattis had been asked if there was an advantage to privatizing forces if there are going to be boots on the ground in Afghanistan for the foreseeable future. About 14,000 U.S. military personnel are currently in Afghanistan to counter terrorist groups including the Taliban, al Qaeda and the Islamic State in Iraq and Syria, as well as to train and assist Afghan forces. More than 3,000 troops were added to the fight after President Trump in August 2017 announced a new strategy to turn around the war, which top generals had compared to a stalemate at the time. Mattis that the U.S. military remains in the 17-year war "in order to ensure America's security." "This is why we talk about an Afghan-led, Afghan-owned reconciliation process and we believe that the best way to get there is to ensure the Taliban recognizes they can't win on the battlefield, they must negotiate," Mattis said in his first Pentagon press conference since April. Prince, whose sister is Education Secretary Betsy DeVos, previously tried to sell Trump on his privatization plan last year. He has been pushing for it once more in media appearances, including on programs such as "Fox & Friends" that Trump is known to watch. There is little backing for such a plan among defense officials and lawmakers.